When you have settled issues with alimony, child support, visitation, or custody in family court, there may be a need to revisit those issues. Modification and contempt cases come about when one party isn’t living up to their end of an agreement or if that party is no longer able to abide by that agreement. Regardless of which side of a modification or contempt case you find yourself on, you need knowledgeable guidance and advice that can better prepare you for the outcome. The Law Office of Stephen M. Forlizzi has experience helping Massachusetts citizens navigate modification and contempt cases. The Law Firm of Stephen M. Forlizzi will take the time to listen to your case and prepare you for your hearing. We will work diligently to ensure your side is heard and fight to make sure your needs are met in the best way possible. When you need a modification to an agreement to fit your changing needs or the changing needs of a child, we will be there to help you get the outcome you need. A contempt case comes about when someone has not complied with a court ruling or agreement. This can mean someone has not paid alimony or child support, or they have not complied with a visitation agreement. There may also be issues where someone has not complied with a divorce agreement, such as not dividing property as they were ordered to do. Willful disobedience must be proven to win a contempt case. The court will then order the person accused of non-compliance to pay or comply, or face consequences. In some cases, those consequences can be jail time. There are many reasons people might not be able to comply. Regardless of which side you are on in an upcoming contempt case, you need representation that will present your case in the best possible light. 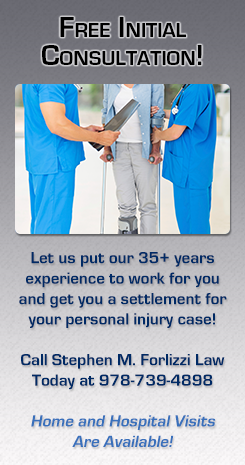 The Law Firm of Stephen M. Forlizzi will fight to protect your needs and your rights. We will fully explore all of your options and guide your toward a favorable resolution. Family law attorney Stephen M. Forlizzi has many years of experience helping families get the legal help they need to resolve their family court issues. With dedication and the compassion needed to help reach a resolution, our firm will help you navigate your modification or contempt case. Contact us at 978-739-4898. We offer Free Consultations!